Spring is here and I’ve got carrots on my mind! 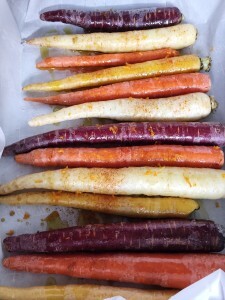 I couldn’t resist the beautiful colors of these carrots, so they unexpectedly ended up in my grocery cart this week. A great twist on roasted maple carrots typically found at Thanksgiving with less added sugar and a little heat. I also added parsnip for some more variety! 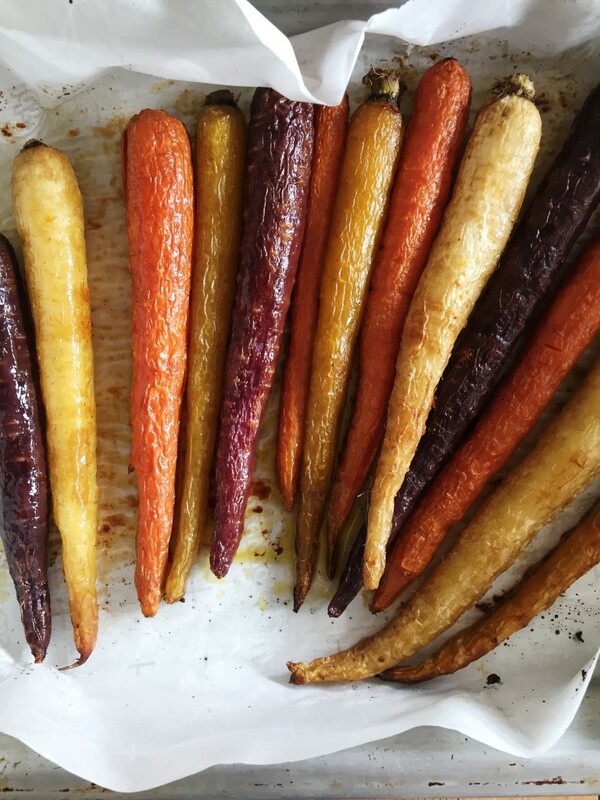 The vibrant colors of these rainbow carrots make for a beautiful side dish for your next gathering or meal. Tag me on Instagram (@eats2know) if you end up making this recipe. Enjoy! Love the pop of color with all those different carrots! And I maaaay be a bit biased because the recipe has my name in it .. 😉 but I reckon this is the best way to eat carrots! LOVE your name, especially because I’m a fan of the spice! This is my favorite carrot recipe 🙂 Thanks for stopping by! I can’t believe it took me this long to try them! I’m a officially a fan–they’ve been on repeat for the past few weeks. Let me know if you try this recipe 🙂 Thanks for stopping by and sharing!